Sorrento Woods is a well-established residential community which had set itself for a 2018 build out in its small neighborhood, Windward Cay. This community is located off the northern flank of Laurel Road in Nokomis, a potent destination for Sarasota homes for sale in South County. 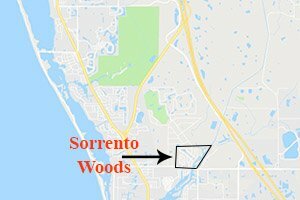 Spreading nearly equidistant between Interstate 75 to the east and the Tamiami Trail to the west, Sorrento Woods’ acreage is a short distance north of Venice and south of Osprey. 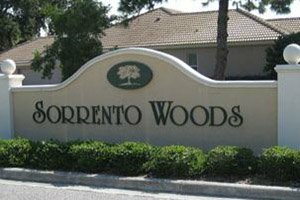 The site of the new homes for sale in the Windward Cay neighborhood of Sorrento Woods has been platted at the southern loop of the Delacroix Circle internal street of the community. Windward Cay is set with just five home sites, three of which have water views courtesy of Shakett Creek meandering on the eastern boundary of Sorrento Woods. The homes of Windward Cay are designed with island-style architecture and spacious layouts. These new Sorrento Woods homes for sale come in floor plans measuring from 2,100 up to 3,000 square feet, good for three to four bedrooms and two to three-and-a-half baths. Their pricing starts from around the mid-$500s and tops near the $800s. As a whole, the Sorrento Woods community is a deed-restricted subdivision with about 200 homes. The development of this community began in the early 1980s. Its rendition centered on harnessing to the fullest the property’s lush and pristine creekside setting. With this central theme, residents were provided with a private park and boat dock which enables direct access to the Intracoastal Waterway and onwards to the Gulf of Mexico. The property also features a large lake and several ponds which provide water views to non-creekside residences. The community features private wooded lots and underground utilities to further sharpen its appeal to prospective buyers of Sarasota homes for sale. The upper-end choices in Sorrento Woods are its creekside homes, which are mainly along Ruisdael Circle and the northern edge of the community. These residences notably feature private boat docks and are priced anywhere between the $600s and the $900s. The floor areas of these prime Sorrento Woods homes for sale are typically in the 2,600‒3,550-square-foot range featuring three bedrooms and three baths. Prized finds amongst Sorrento Woods homes for sale are those located near the property’s lake which could sell within a week of their listing. These typically come onto the market with price tags in the $300s and floor plans of about 2,300 square feet designed with three bedrooms and two baths. Their proximity to the various points of interest in Nokomis as well as those in Venice helps shape demand in Sorrento Woods homes for sale and newly minted neighborhood Windward Cay. Choices of retail shops, for instance, are just minutes away west at the quadrants of Laurel Road and U.S. 41. The Gulf of Mexico beaches in Casey Key, in addition, are easily accessible from the community. 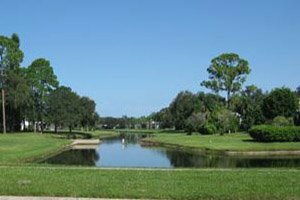 The Legacy Trail extending south to Sarasota is likewise nearby, along with several golf courses offering attractive membership packages. Below are the current real estate listings available in Sorrento Woods.